Bellwork is a very important part of our daily morning routine. On the back of our bell work worksheet, I always copy a blank journal writing page and put a journal prompt on the board. Our prompts are often related to our social studies, science or reading topics. 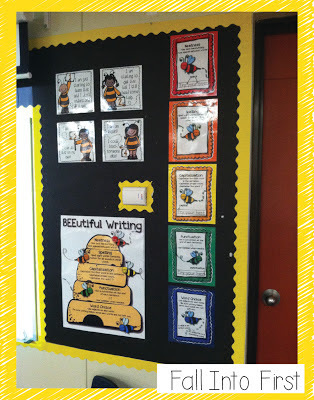 Students are expected to use our BEEutiful Writing Traits when completing their journal. 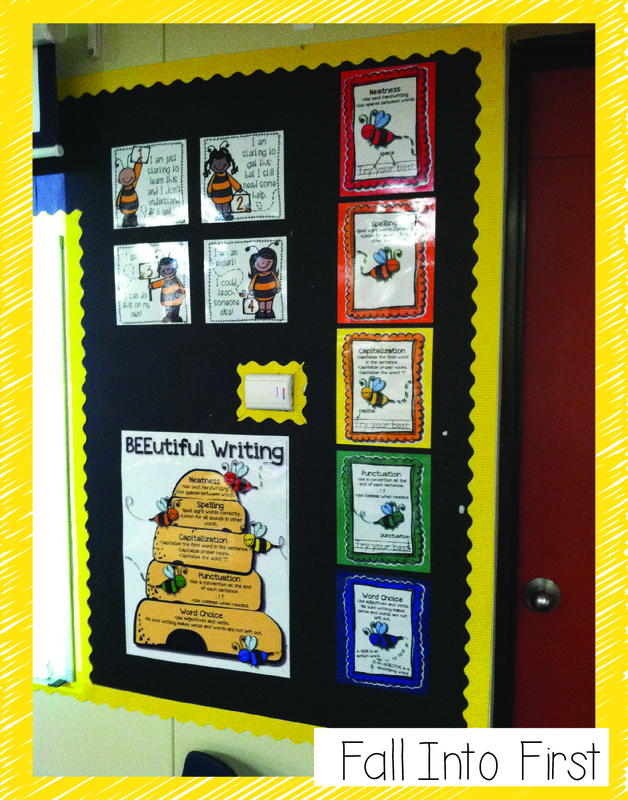 I have the BEEutiful Writing poster and mini-posters displayed in the front of the room for students to reference. 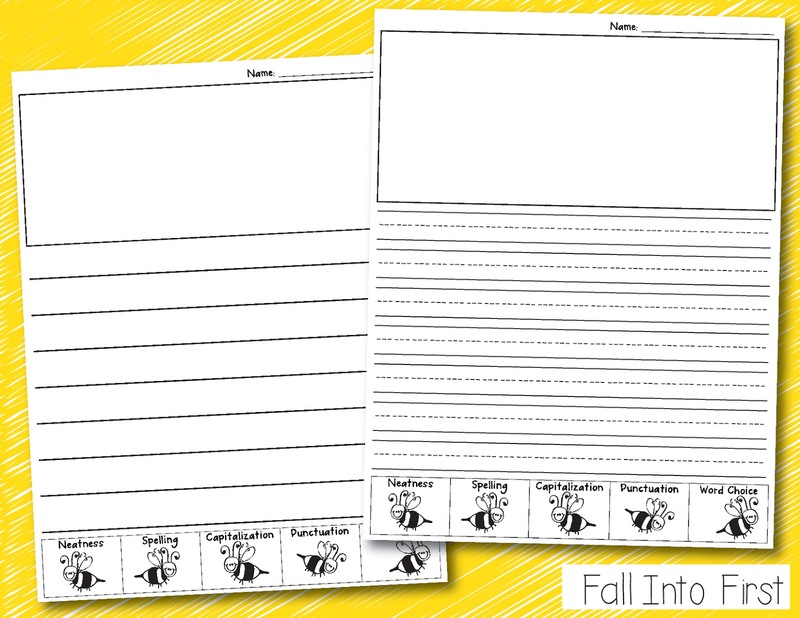 OR students can reference their bookmarks to recall the BEEutiful Writing Traits. The traits we focus on in our first grade class are: neatness, spelling, capitalization, punctuation and word choice. (Each mini-poster describes the trait in greater detail.) At the beginning of the year we spend a lot of time practicing each trait so students understand and are aware of our writing expectations. When students have finished journal writing, students peer edit each others writing using the bees at the bottom of the journal page. If the students paper is neat, the peer editor will color in the first bee at the bottom of the page with a red crayon. If the writer used correct spelling, the editor will color in the 2nd bee orange. If capital letters are used correctly, the editor will color in the third bee yellow. If the writer used punctuation, the fourth bee will be colored green. Finally, we talk a lot about word choice and making sure our writing makes sense. The editor will give a blue bee if the writer has done a good job with word choice. Often times, I will grade students papers after peer editing is complete. 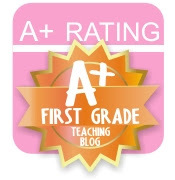 If I grade it, I will attach a small rubric to their paper with a writing grade based on their BEEutiful Writing Rubric. 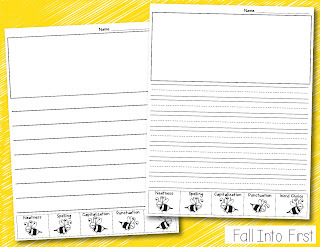 I have my entire BEEutiful Writing Packet available for sale in my TpT store. The packet includes a large Beehive Poster with the 5 traits, (BTW you can print 16X20 colored posters at Costco for $5!) 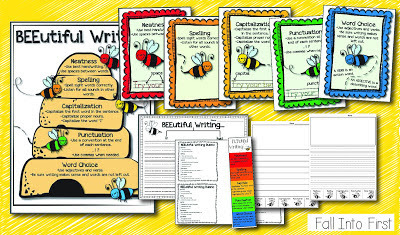 5 mini-posters describing each traits in detail, bookmarks for student reference, Mini Writing Rubrics for teachers, 2 journal writing templates (with dotted lines and w/out), and a BEEutiful Writing Tree Map. Click on the pictures below to link to my store. 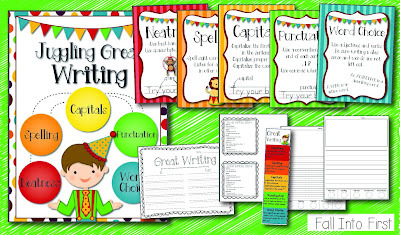 I have also created a CIRCUS theme writing packet for my neighbor called "Juggling Great Writing"
I have also created a "Write Like a Rockstar" theme for Debbie! Cute idea, thanks for asking Debbie! 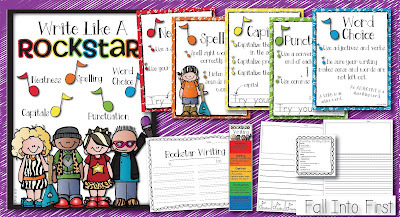 Need a theme to match your classroom? JUST ASK! Hi! I have a "First Grade Rocks" theme in my room. For example, I have a guitar shaped behavior clip chart, one of my boards is titled "Guitar Heroes", you get the idea. Could you make the Journal Writing in a Rockin' theme? Hello. I have a frog theme in my classroom. Could you do a theme with frogs? I need a frog theme as well for my classroom. Thanks! 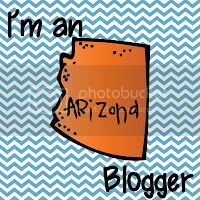 I LOVE your blog and you are AMAZINGLY talented! Thanks so much for creating and sharing! 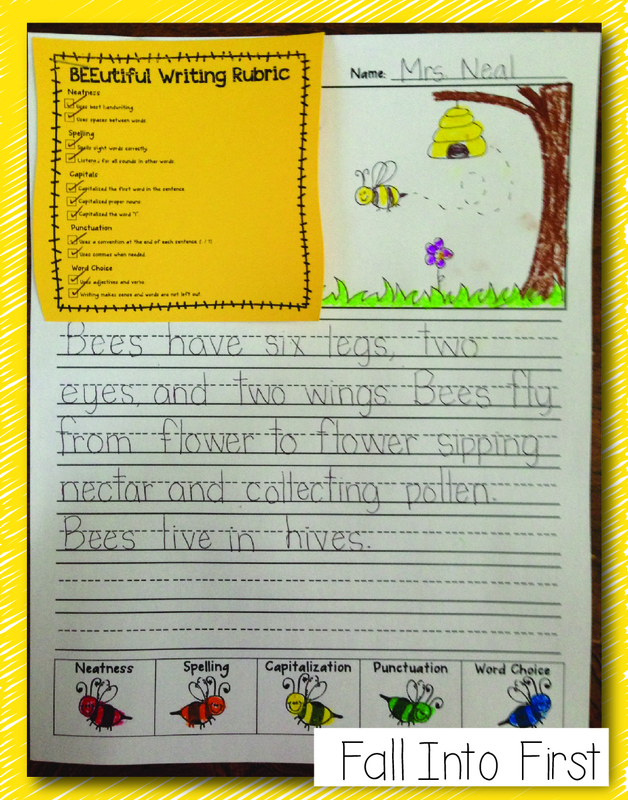 Your BEEUTIFUL writing is perfect for first grade, and I would be so grateful to have it fit our Knight theme, please!! Good luck at school and take care! Awesome writing tool! Has clear expectations for young writers. I like how they peer edit! Would you consider creating an owl theme? I am working on it right now! It is super cute! Thank you for asking!!! OMG! You are awesome! Thanks for the Rockin' Writing! !